My illustrated poster, bathed in the beautiful colours from the film and combining a couple of my favourite scenes from Blade Runner 2049- When K comes face-to-face with the giant JOI hologram and realizes what is real and what is programming, it pushes K to sacrifice himself for something greater. “Dying for the right cause. 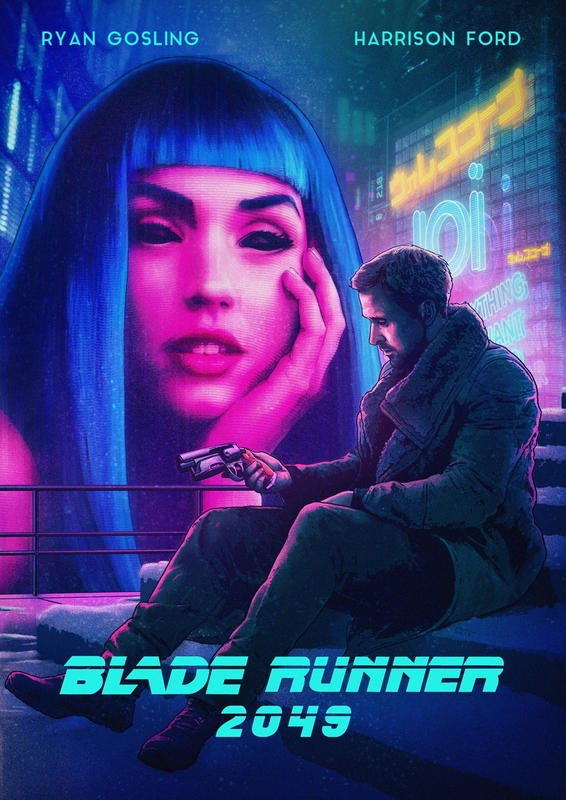 It’s the most human thing we can do.” And towards the end of the film, K sits on the steps, dying- the snow falling and (my personal take) realizing the way he felt the snow when he thought he was a real boy is the same as when he knows he’s a replicant. What is real and what is programming, blend and mix and this film communicates that the lines that are drawn are illusion and what is real is whatever you believe and makes you feel, care and love.